[PA-NJ Glassblowers] Glassblower Wayne Fitzgerald will transform	beer bottles into vases,	glasses and more using traditional glass blowing techniques. After a night of celebration, you probably don't want to see another beer bottle...But, on Saturday, January 3, Pennsylvania glass blower, Wayne Fitzgerald will be in the studio demonstrating how he transforms mundane bottles into "objects that transcend their original intended purpose." Demos are 10 am until 4 pm and begin on the hour. 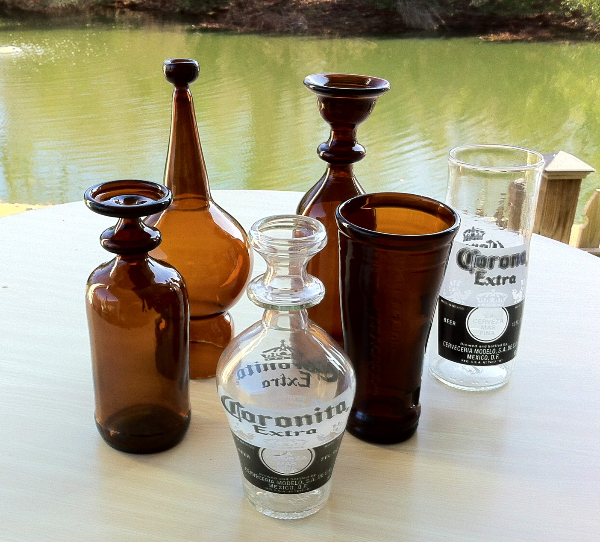 Vases, tree toppers, drinking glasses and more...made from beer bottles.